In Polly Teale’s play, the year is 1845 and the once prodigal son, Branwell Brontë, returns home in disgrace, dismissed from his job and plagued by alcohol and drug addiction. Meanwhile his sisters endure their restricted and isolated existence by channelling their intellect, frustrations and buried desires into the creative furnace of their writing. 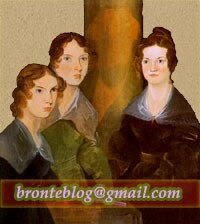 The external lives of the Brontë sisters were dreary, repetitive, uneventful, and yet their inner lives were the opposite. Teale dramatises the collision between drab domesticity and unfettered, soaring imagination, showing us the real and internal worlds at once and making visible what is hidden inside. The familiar characters from their novels are woven into the action, haunting their creators and serving as embodiments of all that is supressed. While the sisters cook and clean and sew there exists another world full of passion and fury in an ingenious and gripping interpretation of the Brontë family legend.